After deciding where they might want to build, developers decide what they might want to build, and whether to go ahead with the project. They conduct what's known as a financial feasibility study. They estimate the amount of capital required to acquire the land and develop the project (their costs) and how much money they can make from the project (their return). Developers also conduct what are known as due diligence studies to evaluate the risks of a development project. The use of sophisticated risk-analysis tools that are based on decades of experience enables them to quantify these risks. They cannot eliminate risk, but they try to minimize it. The potential profit and the risks of land ownership and development are directly related: the greater the potential profits, the greater the risks. For example, if a developer pays $1 million for land that then appreciates in value to $2 million, it could result in a $1 million profit. But the developer may be able to realize substantially higher profits from developing the land and selling the completed office building, shopping center, or other product (or operating it for a time before selling it). However, the very high profit potential of development also entails high risks. Obtaining government approvals might take longer than anticipated, delaying the start of construction or even killing the project. Project costs might run over budget. Leasing might take more time than expected. The rents that tenants are willing to pay might be less than expected. Many things can go wrong, and developer have to decide how much risk they are willing to take to achieve their profit goals. Once a developer has completed preliminary studies of a possible site, it may want to do further research and analysis before deciding on whether to go ahead with a project. If it prefers not to tie up a lot of money in buying the land or to have to sell the land if the project is a no-go, it may try to acquire what's known as an option to buy. Essentially, the developer persuades the seller to give the developer the right to buy the land for a specified period of time. During the option period, a developer conducts more detailed market and financial feasibility analysis and tries to assess the climate for obtaining the support of local business and community groups and project approvals from local and, if potentially necessary, state and federal agencies. 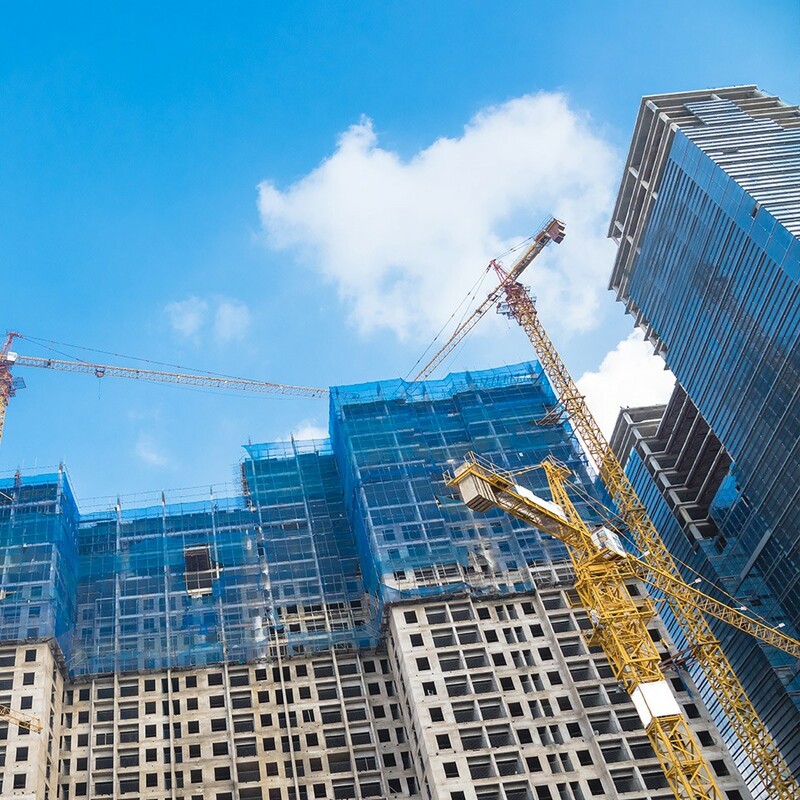 The multiple approvals usually required for a development project--and the detailed conclusions that must be met for approvals- make development a challenging, and prolonged process. If the developer decides to go ahead, it will exercise the option to buy and negotiate purchase terms with the owner. The developer might buy the land outright or possibly enter into a partnership with the owner under which the owner typically would contribute the land and the developer would invest its own money. The developer usually would raise additional capital from other investors in exchange for interests in the partnership. On some projects, developers may act as merchant builders. Merchant builders typically do not have their own money invested in a project; instead, they negotiate a contract with an owner to build a facility for a fee. The owner could be a corporation needing office or distribution space, a retail chain, or an apartment investor. The facility could be an office building or warehouse, a retail store, or an apartment building. Developers are frequently redevelopers and renovators, especially in metropolitan areas where the supply of raw land is limited. In such areas, developers may acquire old, run-down, functionally obsolete, or partially vacant buildings, which they either tear down and replace or retain and renovate. For such properties, developers perform studies to determine the best use(s), such as rental apartments, condominiums, or a hotel; the market for a new versus a renovated building; the cost of new development versus the cost of renovation; the projected rental stream from a new versus a renovated building; and what it will take to obtain approvals for a newly constructed building versus a rehabbed building. Old buildings-including those of historic value-usually can be acquired for substantially less than similar newer buildings in the same market, but they often require substantial investments in repairs and code compliance; electrical, air- conditioning, and heating systems upgrades; and energy efficiency. At the same time, market rental rates for older buildings may be lower than for newer buildings. To determine if they can meet their profit objectives, renovators must carefully compare the property's projected revenue stream from rentals and other sources with the cost of upgrading and operating the property. Buildings of historical significance may be subject to preservation requirements. For example, their facades may have to be retained. But such special requirements usually do not limit their potential use. In fact, developers in New York, Chicago, St. Louis, Los Angeles, and a number of other cities are buying old or historic office buildings in prime locations and converting them to rental apartments or condominiums to meet an increasing demand for housing in downtowns. Developers have patience. If they go ahead with a project, they must be prepared to wait months or years to start to realize a return on their investment of capital, time, and effort. And there are no guarantees. A project could be killed anywhere along the line for any number of reasons. Unexpected problems and challenges are inevitable with any project, and developers must be prepared to deal with them. To obtain project approvals, developers have to be flexible and adaptable. Every project, large and small, affects a community to some degree. Public officials, community groups, neighbors, and many other stakeholders in the community want a voice in the project planning process. In order to win community support, developers must have the ability to work with a variety of people and the ability to communicate their vision for the project, address key issues, and seek solutions. Developers start with the land on which they will build. To decide where to acquire land in a market, they first conduct a market study.